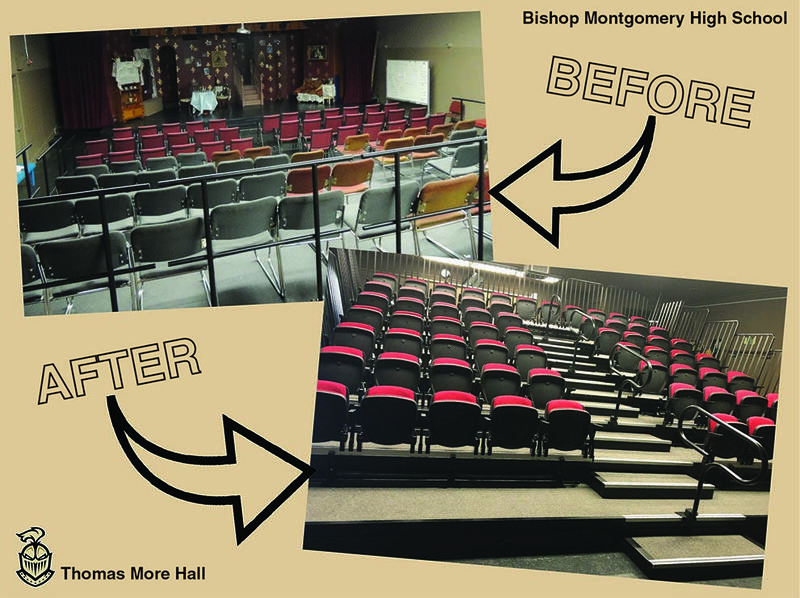 There are some great ways you can support Bishop Montgomery High School through our Campus Improvement Campaign. By making a gift to any of our projects, you are making a gift to our campus and, most importantly, to our past, current, and future students. For more information about projects, call the Development Office at 310.540.2021 x 246. 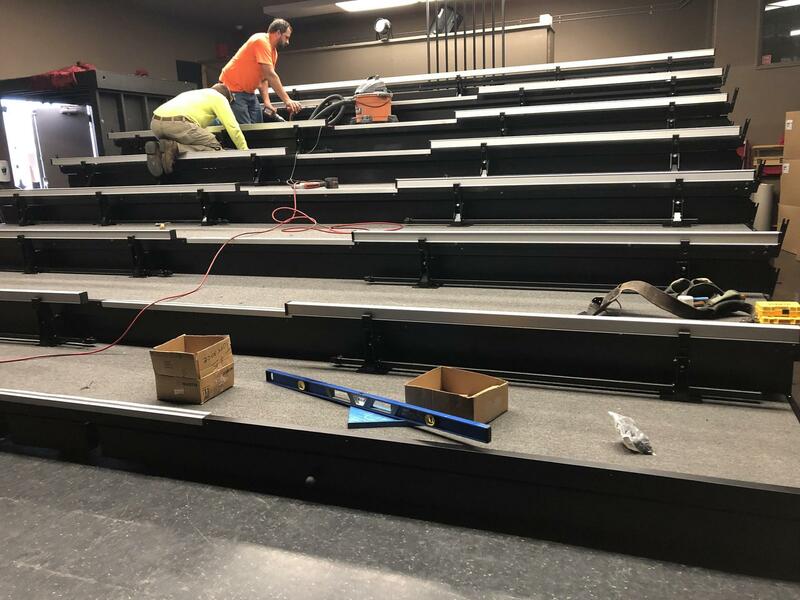 Bishop Montgomery is raising funds to install retractable, theater-style seats in our campus theater in Thomas More Hall. 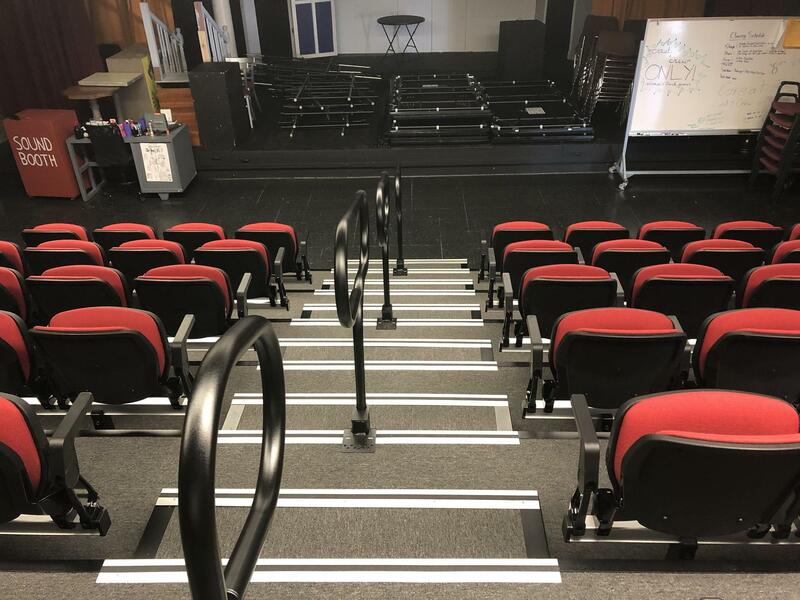 TMH is home to Drama Lab and our Comedy Sportz Improv team. 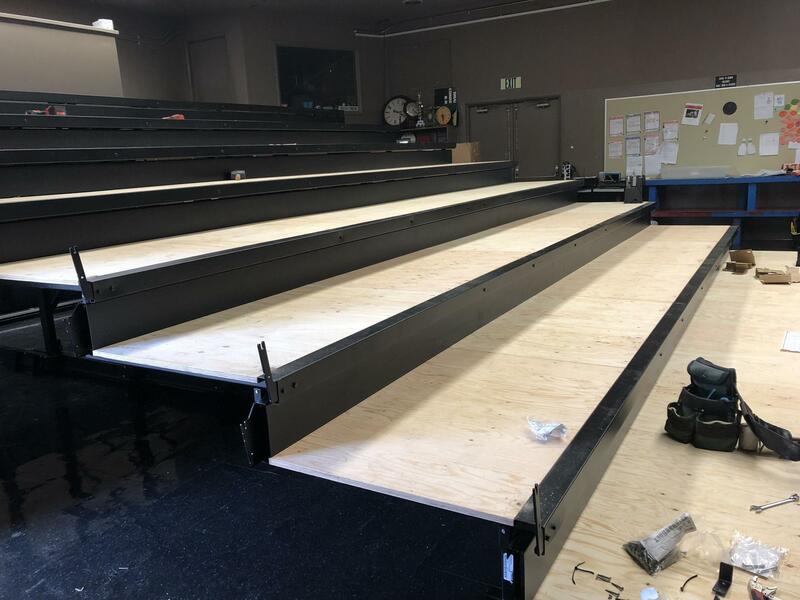 UPDATE: We are excited to announce that the theater seating project is now complete (1/9/2019). 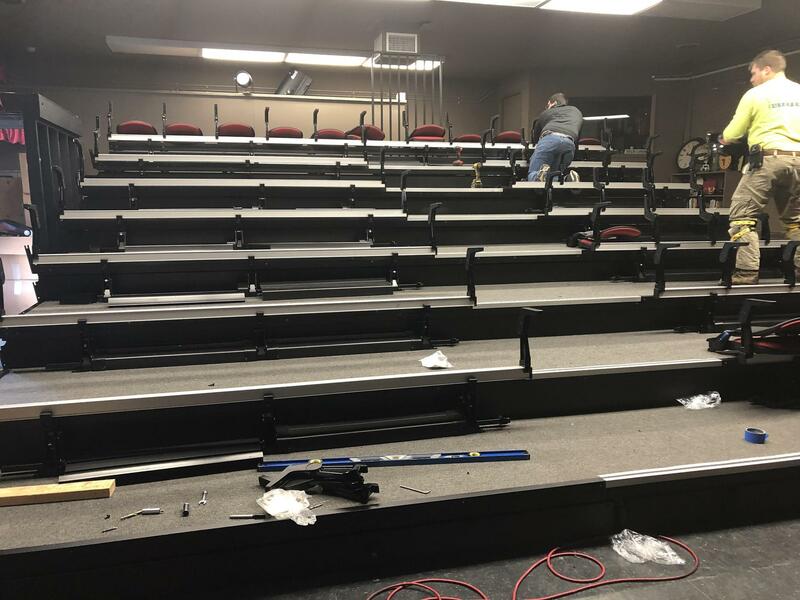 The seat installation was completed today and we can't wait for the first show with the new seats. 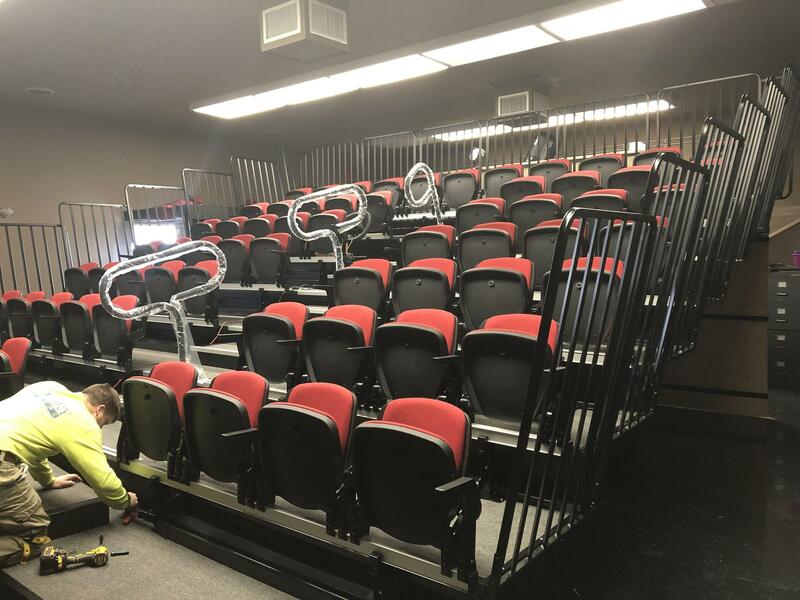 Although the seats have been installed, there are still seats available to be named "in honor of" or "in memory of" someone. With a gift of $250, donors can name a seat for a friend, loved one, family member or anyone of the donor’s choosing. The name will be prominently displayed on the back of the seat. Contact the Development Office for more information. BMHS accepts gifts via credit card by calling the Development Office at 310.540.2021 x246. BMHS accepts Visa, MasterCard, American Express, and Discover. BMHS accepts gifts through the school’s website. Click on the GIVE NOW button on the home page to make a secure, online gift. All gifts to BMHS are tax-deductible. BMHS is a 501(c)(3) non-profit organization.